A new hybrid is available in Europe. It comes from Toyota. Again. 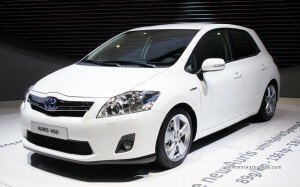 This is not a new model, it’s the hybrid version of the Auris. 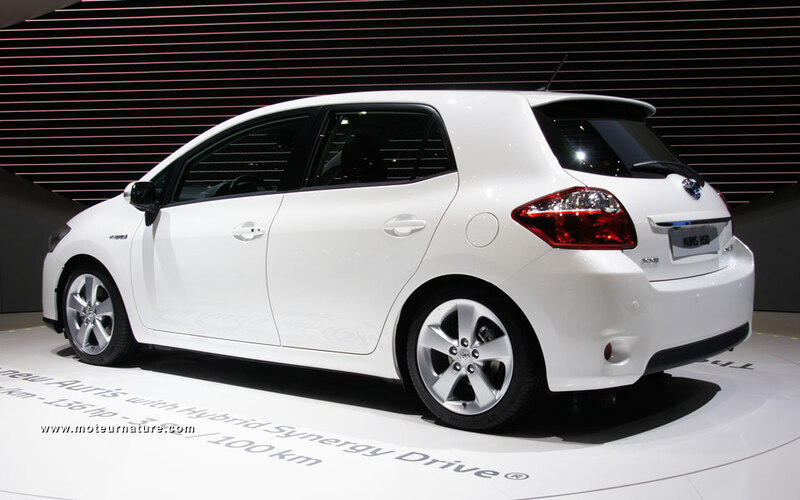 Not sold in the US, the Auris was made for Europe, to compete against the Volkswagen Golf. A hatchback coming with 2 or 4-doors, it’s not very imaginative, and the market has not responded well to it. The Auris is a low-seller, with much less success than Toyota had anticipated. In many european countries, the Auris has replaced the Corolla, and that was not a wise move, even some dealers have been vocal about it. But all that may change with the arrival of the Auris hybrid. Its drivetrain is not new, it comes straight from the Prius. Nobody will complain about that. The good thing is that the Auris is a bit cheaper than the Prius. On the french market, the Auris hybrid is 2320-euros cheaper ($2867 at today’s rate). Actually, it’s a bit tricky to compare, as equipments are different. The Auris has more features, whereas the Prius has a larger trunk. Also, the Prius is THE hybrid car, with international recognition, whereas the Auris a commonplace car that nobody notices on the street. The hybrid model has some blue in its front lights and Toyota’s logo, but few people would spot the difference. We guess that would be the biggest argument. Make a statement, drive a Prius, or enjoy the excellence of its drivetrain anonymously in the blandness of a Auris. What would you choose?